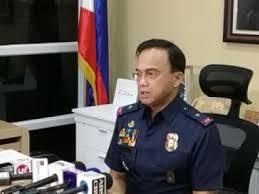 MANILA--The Philippine National Police again questioned the sincerity of the communist New People’s Army in talking peace with government after six policemen on a humanitarian mission in Bicol were treacherously waylaid by communist terrorists over the weekend. The PNP leadership quickly condemned the latest hostility initiated by the CPP/NPA against government troops engaged in medical-dental civic action operations who were hurt in an ambush staged by the NPA, using internationally outlawed landmines in Sitio Patag, Brgy. Mambulo Nuevo, Libmanan, Camarines Sur. The CPP/NPA leadership has obviously lost control over maverick commanders of its wayward guerilla fronts, Durana said. Pursuit operations were mounted by AFP and PNP units in Camarines Sur against the NPA unit responsible for the attack. Reports reaching the National Operations Center in Camp Crame, said the wounded PNP personnel were part of the 1st Camarines Sur Provincial Mobile Force Company on their way to the Libmanan town Proper from a medical mission in Barangay Bagamelon. The wounded were evacuated to the Mother Seton Hospital in Naga City while PNP and Philippine Army troops launched hot pursuit operations against the suspects.